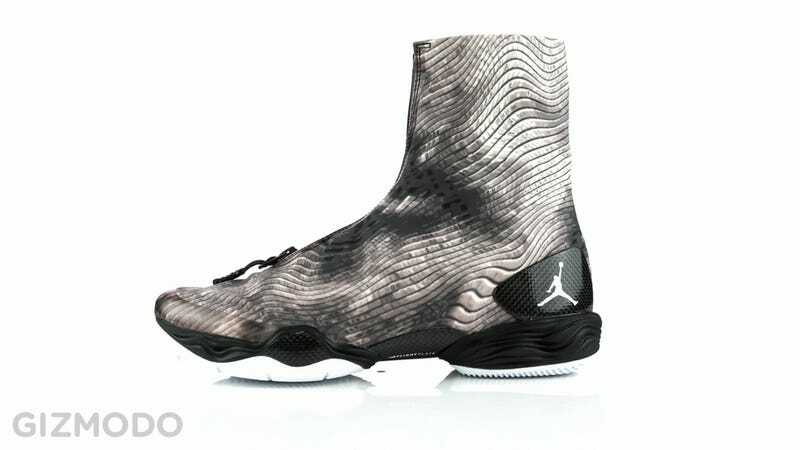 The Air Jordan XX8 (just got 'em in today). Pimped by the mighty Spike Lee. Inspired by James Bond. Bolstered with carbon fiber plates: a purple eyescar sheathed in some kind of snakeskin-meets-moonscape-meets-pixelcamo footcondom. This has gotta be the ugliest shoe ever made. Amirite? Gizmodoscope! Move your mouse around the photo to move the shoe. Magic!